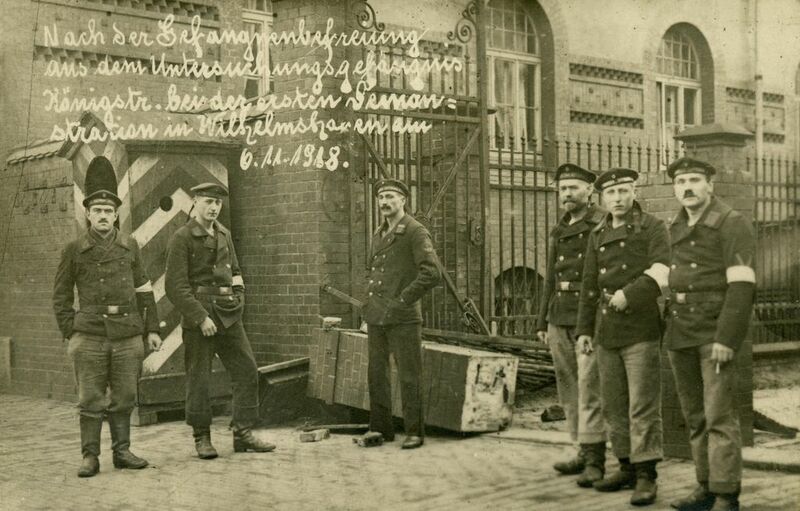 Since its outbreak, there had always been political opposition to the war in Germany. In the summer of 1917, the first signs of trouble in the Navy appeared. Ostensibly, it was about poor food. The establishment of Food committees, however, became the basis for revolutionary councils. In July, on the Prinzregent Luitpold, orders to weigh anchor were not only ignored, stokers extinguished her bunker fires. Then, 47 stokers walked off the ship when they were told that their film had been cancelled. Eleven were arrested. The long-present resentment of the lower deck was easily whipped up and the next day, 1 August, more than 400 sailors went ashore to demonstrate. The situation was escalating. Now, 75 were arrested. 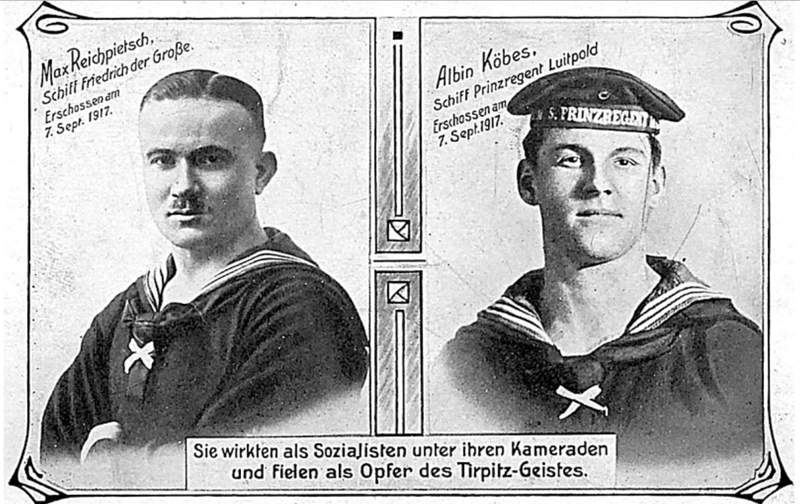 Two were identified as ringleaders and executed by firing squad: the 23-year-old Max Reichpietsch and the 25-year-old Albin Köbis. Others were sentenced to 15 years imprisonment. With the war’s end in sight, the Navy developed a plan for a last sortie in an effort to save its honour. Two German destroyer groups would attack the French and British coastline, hoping to lure the allied response into a submarine and fleet ambush. German ships were prepared in the pretence of another exercise but inevitably the truth came out. To many sailors, the so-called Plan 19 was the last straw. 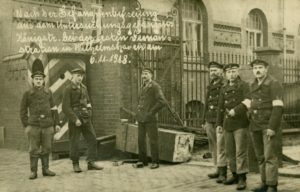 They felt that disobedience was not the revolutionary act the officers saw the country’s Government wanted the war’s end. In effect, the officers were acting to save the navy’s reputation in an act that contravened the country’s political aims. Mutiny spread like wildfire. In droves, the men did not report for duty: 100 on Derfflinger. Nearly 60 in Seydlitz. König could not leave the dock as dockyard workers swarmed on board and tore down her battle ensign replacing it with a red flag. 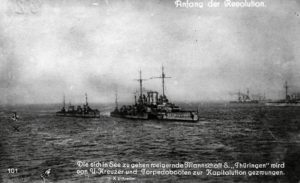 A re-enactment of the stand-off in the Schilling roads, shows SMS Thüringen threatened by two destroyers and a submarine. The confrontation nearly came to a catastrophic end when Hipper ordered a torpedo boat to fire at Thüringen if her crew did not fall into line. The order to fire had already been given when almost 100 mutineers surrendered. The decision to spread the ships between the various ports only helped spread the revolution. The industrial city of Kiel was already a highly politicized and there had been frequent munitions factory strikes. When Markgraf arrived, her crews went on shore to release imprisoned sailors. 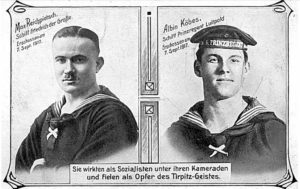 When a young Lieutenant ordered his men to open fire killing nine sailors and wounding 29, the German revolution had begun in earnest. By nightfall, Kiel was under control of 4,000 sailors and marines, most of whom cheered the arrival of the Social democrat Gustav Noske and State Secretary Haußmann. 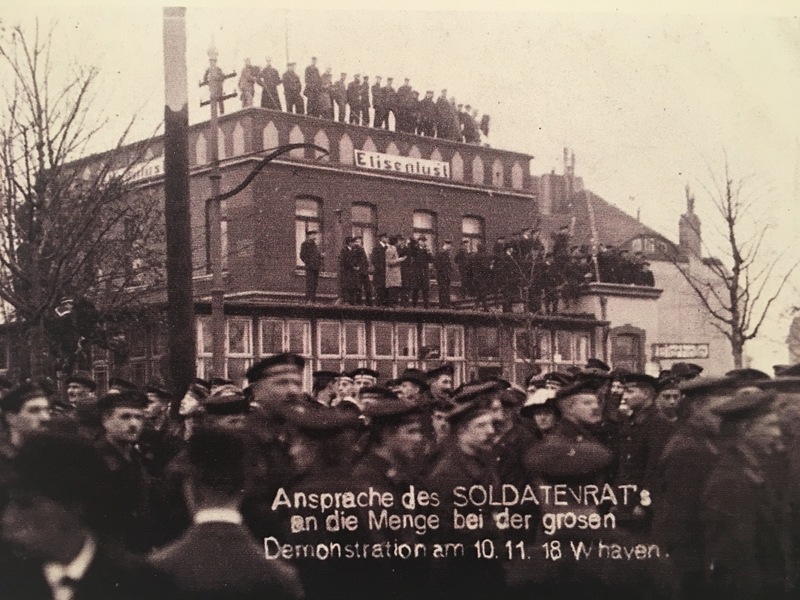 By 8 November, Berlin had declared a general strike. A day later, the Republic was declared. The Hohenzollern Empire was gone.